There is no doubt about it; Jet Skis are cool! Not only cool to you and me but also really cool to thieves too! Even with modern-day watercraft having a great level of security protection built in you should still take measures to secure your jet ski. This need of protections becomes even more important since watercraft are lighter than ever and more accessible than ever with people storing them on trailers and docks. 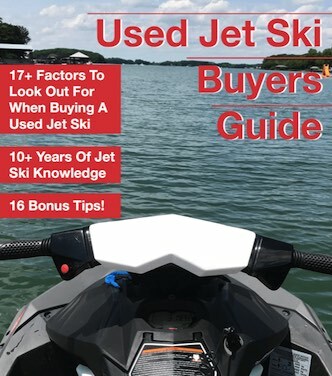 We want to show you some tips for securing your jet ski to help keep it from being stolen. We live in a world where someone wants to take something bad enough they’ll figure out how. No matter what security measures you take they will find a way if they want it. With this in mind, it’s important to have insurance that covers theft on your jet ski. This is the best security measure you can take and make you sleep better at night. Plus, having insurance on a jet ski is a smart idea as you never know what could happen to you or someone riding it. When you do get insurance, you’ll want to do some stuff before your first ride. Take pictures of the bill of sale. The bill of sale has all the info like your name, address, VIN, and where you got the watercraft from. This can be vital if you have to make a claim. You even have the price you paid, so you know how much to insure it for. Take pictures of the actual VIN and make a pencil rub copy. Sometimes the VIN on the bill of sale is not enough, so I recommend you take pictures of the VIN. The VIN is the set of numbers usually found at rear-left of the watercraft and is most of the time a black box with your VIN engraved in. Even a picture can be hard to trust, I recommend making a pencil rub of it. To make a pencil rub, you get a blank piece of paper and a pencil and hold the paper over the VIN plate and rub the pencil across. Since the VIN is engraved in you’ll have a transfer of the VIN to the paper. Just keep this paper in your files for later. Take pictures of the trailer, and it’s VIN too. 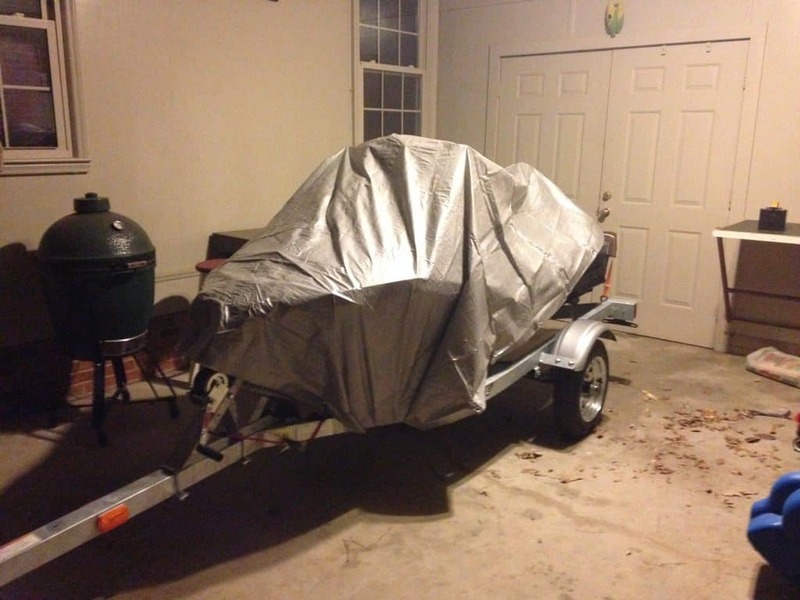 Most people forget to do this, and you’ll be surprised that thieves sometimes want the trailer more than the jet ski. Some states don’t register trailers, so it’s easy to steal a trailer and sell it in one of those states for a profit. Don’t forget to take pictures of how you lock down or secure your jet ski to prove to insurance that you do take measures to keep thieves away. Then you must keep doing these steps. With these pictures, I like to email them to myself so I don’t lose them. The goal is to slow down the thief or make it so hard for them that they give up. It may seem obvious but keep the keys out of the jet ski. I’ve had people leave their keys on the post of the watercraft and not only does it make it easy to steal but it also drains your battery. Don’t forget that most storage compartments on Jet Ski’s don’t lock so make sure to remove anything you don’t want to get stolen. A lot of people or even marinas will have lock boxes at the dock for you to use. Out of sight out of mind. 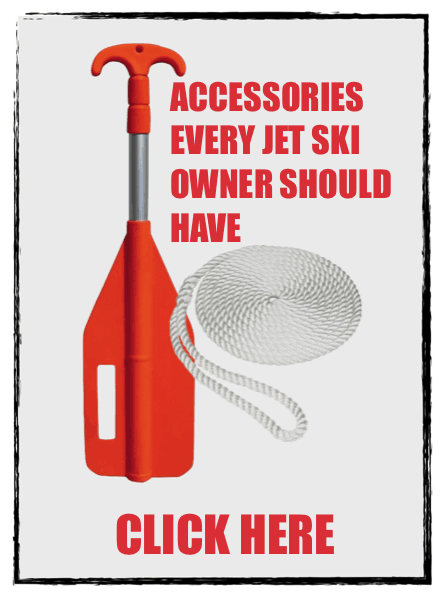 You’ll be amazed by how many thieves will move along to another ski if your ski is covered. I’ve learned there is a trick to what cover you should use. A thief is more likely to move to another ski if your covers look like the universal fit ones because it’s not custom fit to the ski and it’s hard to make out what it is. If you get the cover that manufacturers sell, you can tell right away what brand it is and what model it is as it’s posted all over the cover. I find it best to not broadcast what PWC it is and stick to a basic universal cover. If you keep your jet ski at the dock I recommend using a Master Lock Python Adjustable Locking Cable to attach it to the front hook and to the dock. I like using that cable lock as it fits perfect for me around the bow hooks of most watercraft. One added benefit of the cable lock is that you can control who gets to use the jet ski as you have the key. This will keep family members from hopping on when they’re not supposed to. Always use dock line for securing the jet ski to the dock, never use only the locking cable. If you keep your jet ski on a trailer, then you have some unique set of issues. Sure, you can buy the coupler locks that are small and slide into the hole of the latch. But those are not that effective if you ask me. The thing is that the coupler is held on by 3 to 4 bolts and it’s nothing to swap one out thus making your coupler lock useless. There is some good coupler locks out there like the MegaHitch Lock Coupler Vault Pro with 2″ ball. The bigger the coupler lock the better! The best trick I’ve found to keep people from stealing your jet ski is to simply take one of the wheels off and put a prop under the axle. The harder it is to take the PWC the less likely someone will steal it. I still recommend a good coupler lock because all it takes is a smart thief with a spare trailer tire to steal it. *Remember to properly tighten the lugs back onto the trailer. I got to add that you should also lock the front hook of the watercraft to the trailer. A thief could come along with another trailer and slide your ski onto their trailer and be gone quickly. Maybe use the Master Lock Python Adjustable Locking Cable like we mention above for when you dock it. Probably the coolest thing you can do is get a GPS tracker for your jet ski. These things can alert you when your jet ski is moving and tell you where it is. I like the SPOT Trace Anti-Theft Tracking Device as it fits nicely and is easy to set up. I also like to read the reviews on these trackers to hear about others experiences when they got robbed and how the tracker saved them – super cool to see what people say. There is a downside to some GPS trackers, and that is some require a monthly fee to use. Well worth it if you have a problem with people stealing your stuff.